Aircraft Interiors Expo, Hamburg | April 14, 2015– Malaysia Airlines will be the first carrier to implement global flight tracking using SITA OnAir’s AIRCOM® FlightTracker, starting this summer. Both airlines have already conducted extensive testing of the technology, which uses existing equipment and re-purposes air traffic control data. This ground-based software upgrade allows airlines to follow aircraft positions and identify any unexpected deviations or gaps in position reports. Because it utilizes existing equipment, the solution is highly cost effective. SITA OnAir’s solution provides the tracking capabilities the airline needs without the requirement for new and expensive equipment. 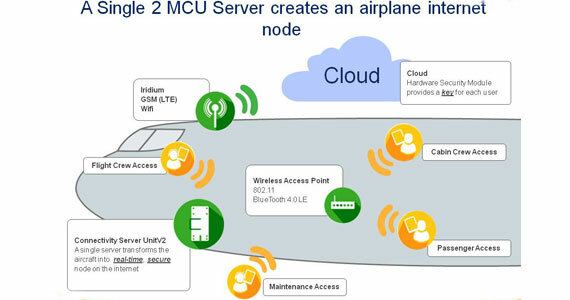 SITA OnAir has designed a solution that works using the AIRCOM Server ACARS message handling system, which airlines already has in place, so the cost and disruption are minimal. ICAO’s Multidisciplinary Meeting on Global Flight Tracking in May 2014 called for, ‘global tracking of airline flights…to provide early notice of and response to abnormal flight behaviour.’ The ICAO meeting also concluded that airlines, ‘will be encouraged to use existing equipment and procedures to the extent possible to support flight tracking’. The same principles were reiterated by IATA’s Aircraft Tracking Task Force in its report and recommendations in November last year, and reinforced at ICAO’s Second High Level Safety Conference in February 2015. AIRCOM® FlightTracker therefore has an important role to play in providing improved tracking and detection of unplanned movements, without requiring modifications to the aircraft. It is simply an extra software layer on top of SITA OnAir’s existing AIRCOM® Server ACARS message handling system, which is already used by over 90 airlines around the world. It is very efficient: it is straightforward to install and therefore adds only minimal cost. Airlines in Europe and Asia are currently assessing SITA OnAir AIRCOM® FlightTracker, with a view to making the necessary upgrade from the ACARS system. Editor’s Note: This Hot Topic is a head swimmer and we really recommend downloading the mentioned links in the article and studying them while reading. If the concept of the Internet and aviation makes you nervous, you aren’t alone. More specifically, connectivity of any kind and airplanes are an issue that will keep tongues wagging for some time to come. While we must admit, aviation data communication and hacking are not our strong suit; we are none-the-less concerned and have been trying to keep up with the rapidly changing connectivity landscape. Further, if you are up on terms like “Lizard Squad”, “Syrian Electronic Army”, or exploited vulnerabilities like “MS 15-011” or “CVE-2015-0235 (Ghost)” then you are probably ahead of us in the future shock workings of electronic hacking. Make no mistake, if “Malaysian Airline System” and “A380” appear in Recorded Future/Cyber Daily listing of cyber attacks… you will be involved! And if you want to know more, SITA has been on the forefront of this technology and might be a good place to start. In the past, we have referenced the Recorded Future folks’ efforts in this arena – Check out the webinar. In the aforementioned webinar, Dave Ockwell-Jenner of SITA points out some hacks like “ADS-B Hack” and “Operation Cleaver” that are just the beginning of the nightmare that will grow with time. But, this Hot Topic is more about the airplane security side of aviation data communication. To that end, we have been working with one of our industry’s experts in data security, Mark Thompson (Thompson Aerospace). We suspect that his interest began in IFE but has now morphed to include secure connectivity. We asked Mark to chime in on the subject and he quickly sent us a presentation that his team presented at an ARINC 848 meeting. You might also remember a Hot Topic we discussed with Mark (October 2014) when he noted, “The biggest problem in this business has always been managing the data.” To that end, Thompson has employed some very clever solutions and the key to their data management schemes is to maintain a secure connection between the aircraft and the ground and provide a scheme for validation between the airborne unit and the cloud. With the advent of a lot of credit cards sales, both onboard and off board the aircraft, Thompson designed their server with FIPS 140-2 Level 3 security… ”Equal to that used by the US Federal Reserve,” he noted. Thompson has had this gateway in development for the past 3 years and the company told IFExpress that in 2020 the US government is requiring asymmetric keys security from airborne satellite communications… and Thompson Aerospace can provide it now. One point that seems to be at issue is: data communication is not necessarily best sent point-to-point, especially if there is a lot of it. Rather, storage is best, either on the plane, but eminently more useful, if stored in the Cloud. While safer stored on a plane, it is usually not available till the plane has landed. Not only is localized permanent storage of gigabytes of data challenging, access and usage may be needed worldwide and thus very secure, Internet storage is chosen as more favorable for Big Data. And, we have not even mentioned passenger data, but the Thompson solution includes that too. While we have not addressed the subject of costs, transmission and storage have their costs but the utility of data may just be worth it – think MH 370. The real reason we chose to talk to Mark is because airlines, aviation communication specialists, and airframe manufactures are talking to Thompson Aerospace about his solution to one big problem – secure data communication in the air. His recent communication system developments triggered our interest so we caught up with him and he told IFExpress: “Here is a simple presentation on our system. We really just make the aircraft a node on the Internet, to achieve this requires an approved means of security. Our system provides the same level of security used by DoD ‘secret’ communications, FIPS 140-2. Hence, we can pass any data over any type link and make sure it is not modified or hacked.” To backtrack a bit, we understand that Thompson Aerospace has been in the data business for some time now and Mark impressed that fact on IFExpress at the last APEX Conference in Anaheim, CA. At the time he told us that his aircraft data solution used 2 encryption keys, one public and one private – that means his security levels are government levels and the same as DoD levels. We naturally asked Mr. Thompson for a rundown on his security solution so please refer to the title chart above and the Press Release on Real -Time Flight Tracking and Performance Solution product. Q. The green units on our cover chart are connected how? One box, 2 boxes, 3 boxes (cards)? Mark: The green units show the logic, we have one CSU per aircraft, it has 3 processors, hence, can do 400 Mb/s in streaming video on demand using only 20 percent of a single processor, we recommend (2) WAPS but each WAP is an 802.11n, hence a single WAP could do a 200 seats. The antenna is to show the connectivity solutions, we have two small antennae. Q. The Connectivity Server Unit does what, to what, how? Mark: The CSU does it all, all the aircraft interface, the Iridium, 3 processors, 2,000 Gigabytes of user stowage (2) cell phones, plus a Quad channel GPS, and accelerometer, and some other interfaces, it is a system in a box. One of these units used as an IFE server could do 400 seats of Video on Demand and stow over 2000 hours of content. Q. Maintenance access is oft times cell, and I guess now Wi-Fi… through what? Mark: We use the Wi-Fi for maintenance access and have an additional Bluetooth channel for added functions. Q. Does all the Aircraft Data go thru Iridium? Mark: Only high value data as this is an expensive link. Q. What data goes where and how and through what? Crew, aircraft, main, pax, cabin? Q: How many boxes and how many cards are involved? Mark: 1 CSU, 2 WAPs and a 10.1-inch control panel is recommended. Mark: We are offering a one time set up charge of $10K, plus a month fee based on what services they want. It is a service level agreement, so customers only pay for what they use, we provide all the hardware, and they never have to buy an LRU again. If they agree to share revenue from the passengers with our approved third parties we will write them a check each month. 1. SmartFleet: Recognizing airlines’ need for operational efficiency and quick turnaround time on the ground, Wisscom’s SmartFleet solution provides airlines with real live tracking along with reports that help analyze operationally critical flight and engine data, helping airlines to cut costs & improve performance. 2. FlyConnect: Our range of existing and available hardware products which are developed to best suit different airlines’ needs for connectivity, in-flight entertainment and flight management systems. FlyConnect is a high-performing, yet affordable system that competes with the best in the industry. 3. FlySaga: Wisscom Aero’s fully customizable and modular software solution, FlySaga, is the best in market in-flight entertainment solution. The completely wireless system provides matchless entertainment experience by beaming services like AVOD, e-Shopping and Games directly to the users’ devices. 1. APU Usage and fuel calculation (this is used to determine APU’s running when ground power units are available), also excessive APU usage. 3. Altitude/Speed at landing flap selected (This is used to monitor final configuration changes and also excessive flap extension speed (stressing the flaps). 4. Flaps 3 vs. Flaps 4 usage and trending (A319/320/321) used to monitor adherence to configuration 3 vs. configuration full landings (i.e. managed approaches for fuel conservation). 5. Aircraft Gate Wait by airport (used to monitor when aircraft sit at the approach to a gate and are not marshalled in, looks at throughput efficiencies of ground staff and can be used to access operational cost related to crew time/pay; passenger missed connections etc.). 6. Single Engine Taxi Usage (pure and apples Fuel savings). 9. Trim issues in cruise (used to compute the excess fuel burned by aircraft with poor trim characteristics and compute saving in fuel if Trim issues / sensors corrected). 10. Percentage Fuel burn difference Eng 1 to Eng 2. Used to identify aircraft with inefficient engines in cruise so that can be routed to short haul, also used to identify efficient aircraft which are suited for Long haul flight. 11. Runway degradation study (used to determine runways that have deteriorated to the point where it is showing up on the FDM program (Runway maintainers and airport authorities/engineering companies would be interested in this tool. “Additionally, in-flight merchandising and inflight advertising are two natural elements to this chain of thought, but not just random one-size-fits-all advertising. 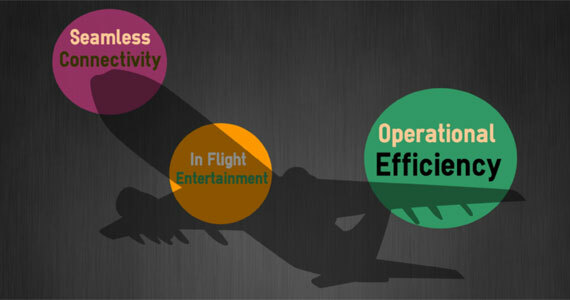 In-flight social networking and in-flight entertainment are not too far behind. “Constant connectivity” – a primary human requirement that changed the world of telephony from fixed line to mobile to smart mobile is yet another value driver. 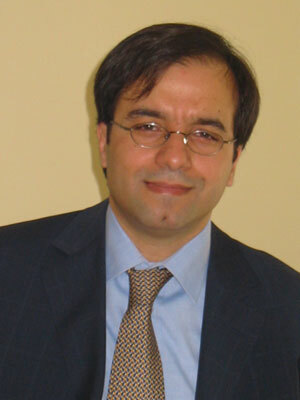 Airline ancillary revenue should not just be about baggage fees or unbundling, but should aim to create value propositions based on increasingly real-time information about customer preferences and needs and using that information for targeted services.” For a new entrant, Abdou Attou has our attention, and should have yours too! • Are all the passengers going to need roaming facilities on their mobile phones when they travel away from their native land? Can we help them lower their roaming charges or make free calls via the web? Can we help establish ecommerce on board aircrafts with SKYMALL concept? • Inflight advertising? But caution must be exercised to do it tastefully and without intrusion. Mixing it with free Wi-Fi access and premium inflight entertainment could make it seem reasonable. One could target teenagers and low fare customers before premium passengers in a personalized manner. • Do airlines just want to focus on core-competency of operating flights – safely, can they outsource pre-flight, inflight and post-flight ancillary operations to an entrepreneur with the highest potential? When you can outsource back-office operations, why not ancillary revenue operations? United Airlines with partnership with DirectTV, and Singapore Airlines’ Krishop being operated by DFASS are just two shining examples of the potential opportunities. With Airlines collecting valuable passenger information, these outsourcing partners can generate substantially higher values than the airlines can do themselves. In closing Mr. Attou told us, “So, Wisscom can put back the romance and adventure in flying that it once was? It’s time to get creative and move up the value chain. The next generation of passengers demand not just a flight but an experience, a personalised one at that.” You can reach Mr. Attou at: abdou.attou@wisscom.co.uk. And check out www.wisscom.co.uk and the linked presentation.